When Mankind invented “ The Wall” …graffiti was close behind. 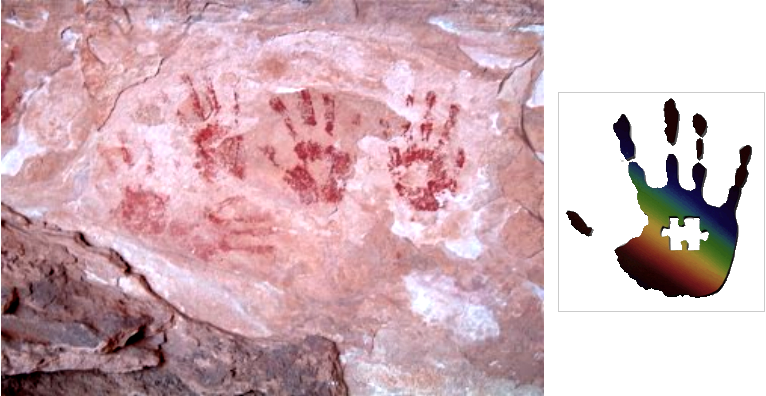 Big Picture’s own logo is itself a homage to the cave artists of Lascaux 18,000 years ago…. The first wall painters. This is a powerful instinct within us woven into our very DNA. Expressing ourselves through art is as strong as a birds urge to migrate. The “Big Picture” logo is itself a homage to the first wall painters. 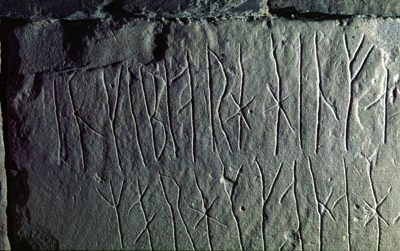 In “Maeshowe”, a 5000 year Celtic burial chamber in Orkney, Scotland, plundering Vikings left their graffiti (“Erik wrote this high up” in stick runes!). Everyone from Arabs 3000 years ago to the Romans and Napoleon’s soldiers have left their mark on the Great Pyramids. 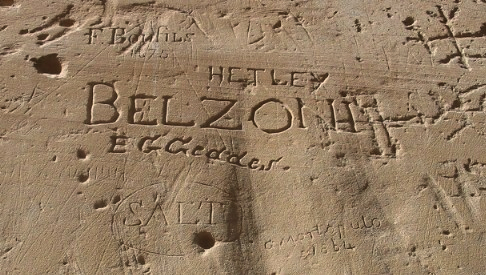 It all took time… sitting patiently with a penknife carving your name took ages and the results were small scale. 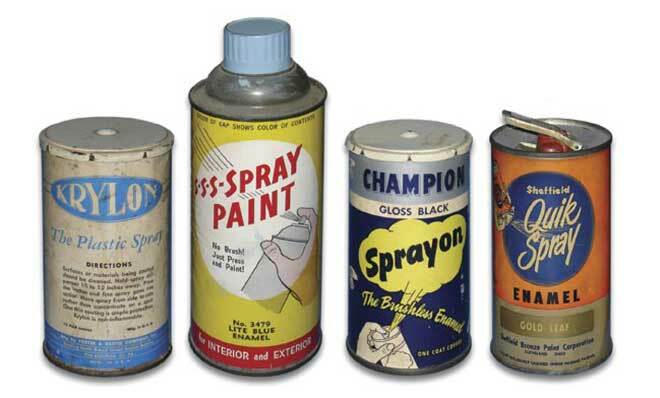 In 1949 Edward Seymore invented the aerosol paint spray, changing the graffiti game forever. Now a person could cover tens of meters in moments. By the late 1970’s spay graffiti was a ubiquitous part of the urban landscape with New York leading the way before it’s worldwide explosion! In 2012, U.S. Spray-paint manufacturers produced 412 million spray cans! 10,300,000,000 sq.ft. 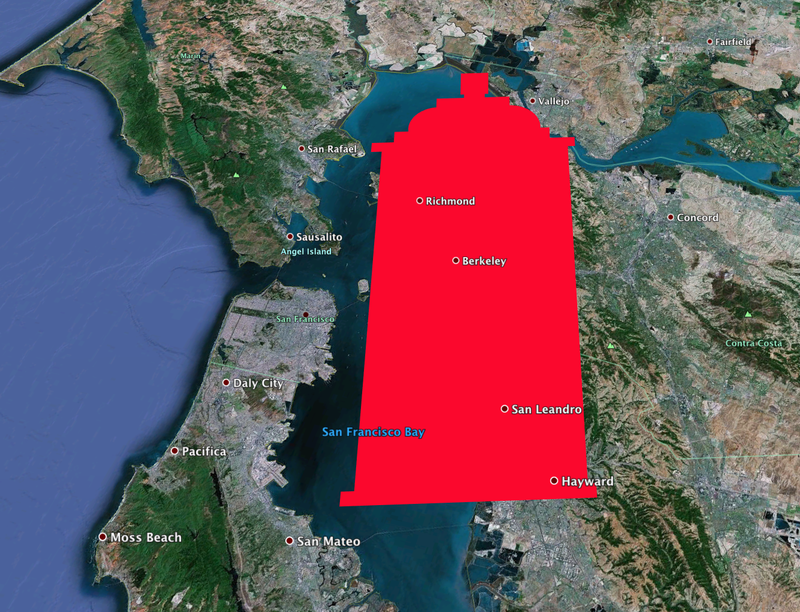 (10.3 trillion sq.ft. or 369 square miles)! If Ed Sherwin were to invent the spray paint can today it would never make it to the market. Paint spray cans are pressurized “ greenhouse gas bombs” of volatile and flammable hydrocarbons. Propane is used as a propellant which is avoided as a fuel in disposal lighter… because it is too flammable! A 20% transfer efficiency rate of means that 80% of the contents are directly atomized into the air as overspray during typical use. This means 60 Million gallons of paint and propane are added to the atmosphere each year! 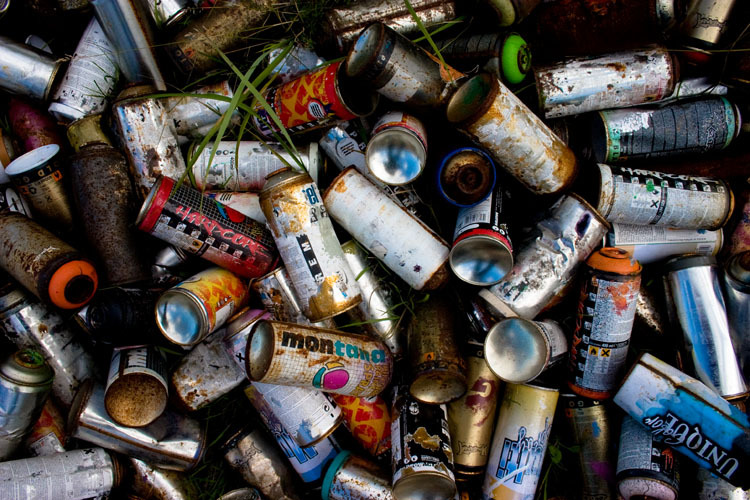 Spray cans are a toxic disposal nightmare and are almost impossible to recycle. They are pressurized to 80psi (nearly six times atmospheric pressure) so they cannot be crushed and will last more than 100 years in a landfill. 412,000,000 of these end up in landfills every year. Why are spray paints exempt from environmental recovery fees? When you buy paint in some States, a waste disposal surcharge (PaintCare Recovery Fee) is added for each container at the till to offset the cost of responsible handling. Architectural paints are listed as “Program Products” but aerosol spray cans are not included. If BP or Chevron spill oil on a beach fines are levied and they have to pay to clean it up and yet the paint companies remain untouched for either the environmental or societal impact of their products. It is time that paint companies step forward to help in a SUBSTANTIVE way and help clear up the mess. We are not saying that the they started the graffiti war… but they sure provide the bombs. Funds must not be channeled through the general education where they will be squandered in administrative costs, but given directly to art education teachers as prepaid cards supplier cards to get art materials efficiently into the hands of students. Art schools and colleges should make it possible for their students to visit middle/high school classes one or two mornings a month, working as teachers assistants to bring in new ideas, get valuable experience and to be a shining example for younger students to aspire. Nice article about the history of rattle can. I used to use spray paint quite a lot and I have cut down considerably mainly because of the environment. That is an alarming fact about 20% I knew it was bad, but not that bad.